Type 97 refers to the Japanese Imperial Calendar year 2597. 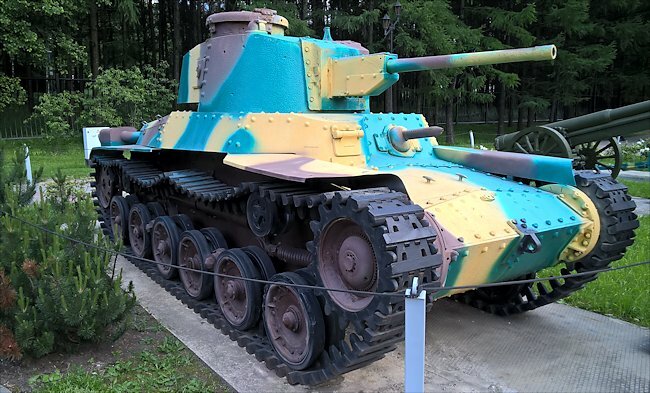 This version of the tank is an upgraded Chi-Ha tank. The original tank only had a low velocity Type 97 57mm main gun that had poor anti-tank capabilities. The new Type 97 Shinhoto Chi-Ha tank was fitted with a high velocity Type 1 47 mm long barrelled gun. Like previous models, the tank turret had no coaxial machine-gun, but a rear turret ball-mount. The word ShinHoTo translates to 'New Turret'. 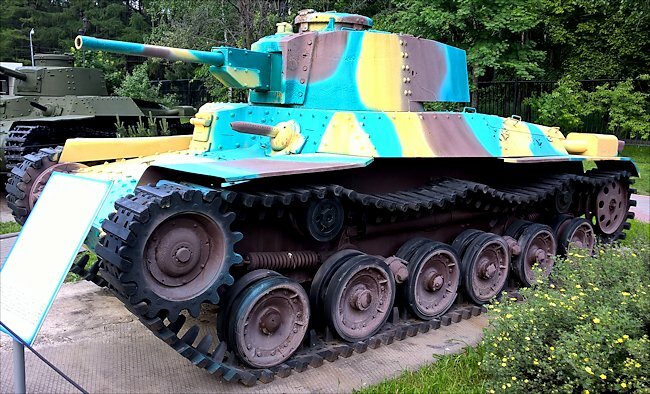 The Imperial Japanese Army's Type 97 ShinHoTo Chi-Ha medium tank was designed between 1939 until 1941. Records show that 930 were built. It had a crew of four: commander, gunner, loader and driver. It had an armour thickness that ranged between 8mm and 33mm. It weighed 14.8 tons. It was armed with a high velocity 47 mm type 1 anti-tank gun. It had two 7.7mm Type 97 machine guns. It was powered by a Mitsubishi SA12200VD air-cooled V-12 diesel engine and produced 170 hp. It had a maximum road speed of 38 km/h (24 mph) and a range of 210 kilometres (130 miles). 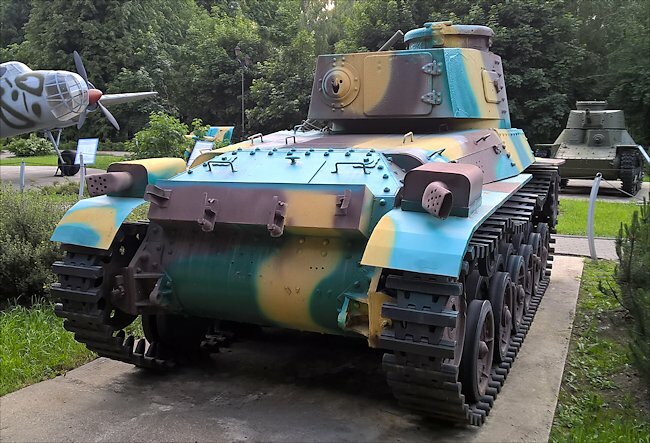 This Type 97 Shinhoto Chi-Ha Japanese Medium Tank was recovered from Shumshu, Kuril Islands. It has been cosmetically restored. You can see the 7.7mm machinegun ball mount in the rear of the Type 97 Shinhoto Chi-Ha Tank's turret. 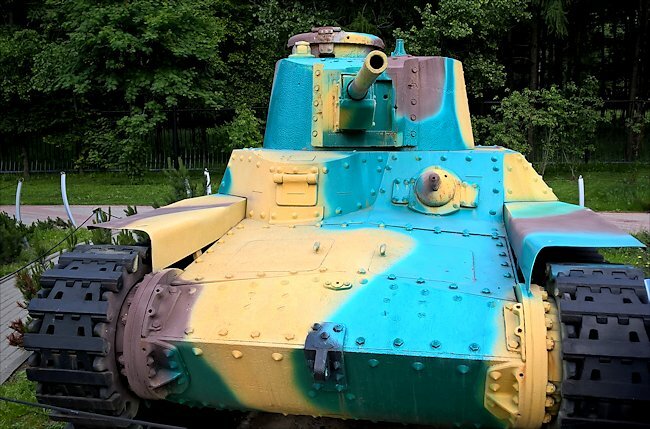 Where can I find other preserved Type 97 ShinHoTo Chi-Ha Tanks?